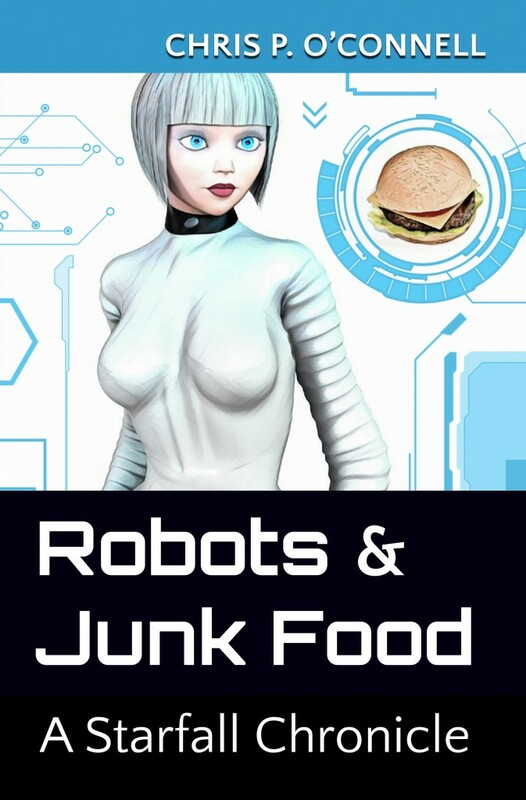 Robots & Junk Food is the sequel to Blue Shift and the second tale in The Starfall Chronicles, currently available in both Kindle and Print formats. Last night, UFO enthusiast Catherine Mei Lee was killed when caught in the crossfire between two battling alien creatures. In the day following what is now known as the Crystal Match incident, an alien robot named Seesix will reveal to Catherine how she obtained a new lease on life while offering a glimpse at a new possible destiny. Meanwhile, the aliens responsible for hurting Catherine plan their next move which includes a mysterious museum heist. …But what kind of treasure could aliens possibly want from an Earth museum? Blue Shift- the first volume of the Starfall Chronicles is currently available from Amazon, Kobo, Smashwords, Audible, iTunes, and Barnes and Noble. Blue Shift: A Starfall Chronicle is a science fiction fantasy story about an alien conspiracy that takes place when an alien law officer and his criminal prey cross unfortunate paths with a young eccentric UFO conspiracy buff. It all starts with Commander Shen- a formidable elite alien warrior, but also something of a short-sighted hot-head. When tasked with the mission of recapturing a hijacked deep space prison transport, Shen’s impulsive cowboy-like actions give multiple alien convicts the chance they need to escape to a little blue planet called Earth. Now these very dangerous extraterrestrial fugitives are running around on Earth, doing whatever the choose to whoever they please, and no one can stop them, other than Shen, his android partner Seesix and a mysterious man in black known only as Mr. McGrath. 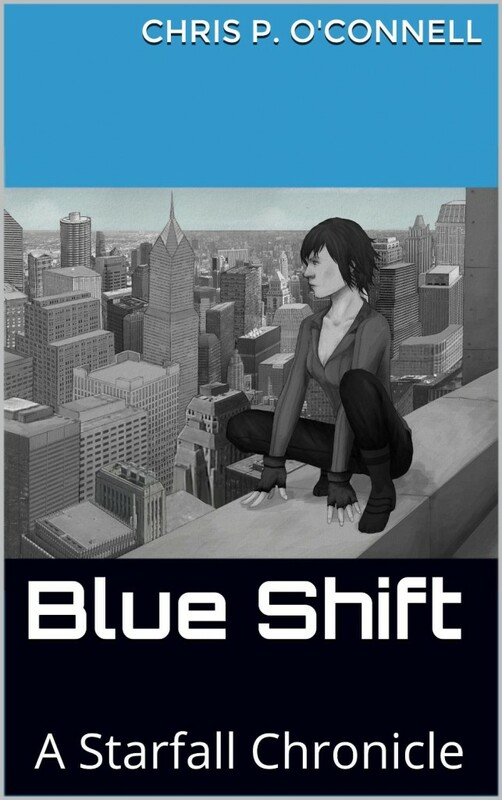 Blue Shift: A Starfall Chronicle (The Starfall Chronicles Book 1) - Written by Chris P. O’Connell, cover illustration by Debby Wijaya. This is the official trailer for an animated short film currently in production, based on Blue Shift: A Starfall Chronicle. It is an independent production directed and produced by the author of the book. Also, on behalf of this animated production, a big Thank You shout-out to the following individuals who have helped the project to date: Maurice Cox, Ezell Burke, James Reilly, Paul Baccam, Rizky Budiyanto, Salman Aditya, and Dwight Angelito.